When we saw this sofa (a year or so ago) we immediately liked how comfortable it looked and was. It had all the elements that we were looking for, mainly it was comfortable, slipcovered in natural material (100% denim cotton), hard frame, down combo fill, etc. 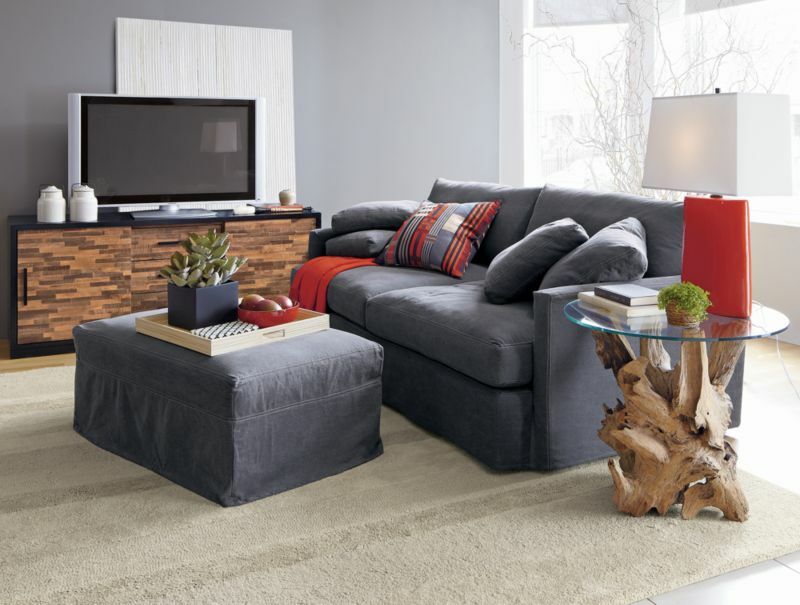 Price tag was definitely a bit of an issue, but C&B has sofa sales from time to time so this felt worth while a wait especially since reviews for this sofa were really good. The main reason why we did not end up buying this beautiful piece is sofa depth. At 46 inches it was just way to deep for me. While it makes perfect sense to have a really deep sofa for lounging space, I felt too awkward getting on and off it that I had to nix it from our selection list. But we kept it as a backup of a backup plan. I was immediately drawn to this sofa when I first saw it. When I also heard from the salesperson that it is by Lee Industries, I knew why it had called my name. While it hit almost all the criteria, I did not like the back - too many cushions to really relax without them moving. 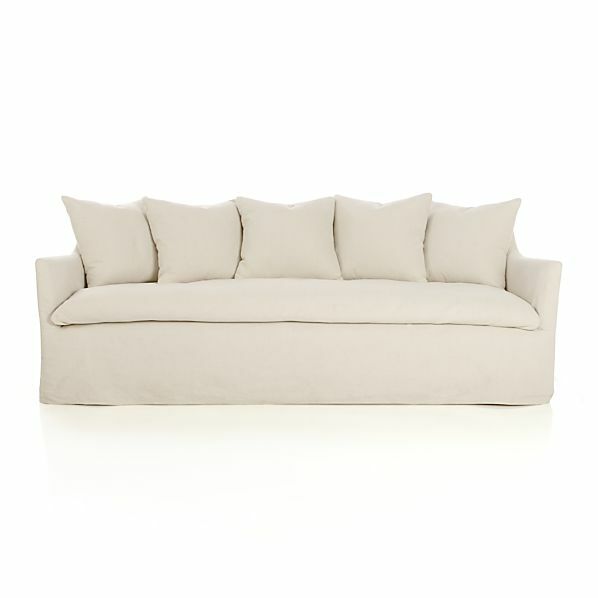 We've been to EQ3 before but did not run into this sofa until later when we ventured into Toronto King St. furniture district. I must say that I had no idea this stretch of furniture stores even existed. While it was great to venture into Montauk store and see in person what I usually just see in ads or magazine articles, it was also mind blowing seeing $20K+ sofas in some of the stores. We really liked this sofa and at $2,000 it was the right price for everything you get with it (hardwood frame, Belgian linen slipcover, etc). 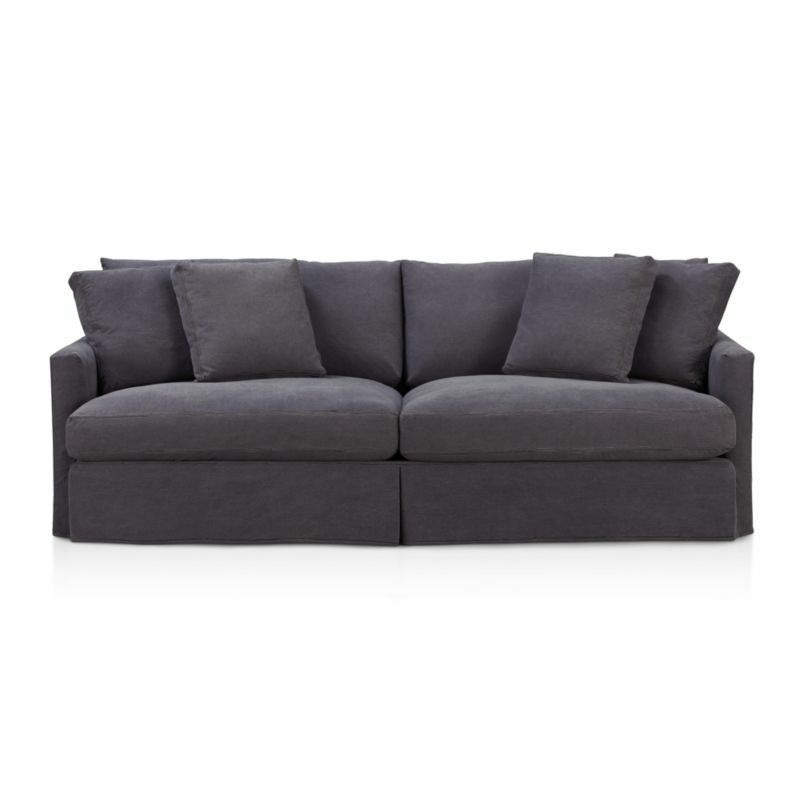 What we did not like was 37" depth and wanted a different colour of the slipcover, but this was definitely our go-to sofa if we did not find anything better. HOWEVER, something better we did find, but more about that in another post! !